Introducing LMSF In Association With Wahed Invest: The London Muslim Shopping Festival (previously London Muslim Lifestyle Show) returns to one of the most cosmopolitan and trendy cities in the world. The capital will host the prestigious marvel now in its fourth year in April, 2019. The event has become a household annual exhibition of brands looking to be part of the biggest Halal event in the UK showcasing products and services, from around the globe. This has become the go to event for any Halal Brand or service globally. The State of the Global Islamic Economy Report was recently released by Thomson Reuters in collaboration with DinarStandard and supported by Dubai Capital of Islamic Economy. The report showcased the estimated Muslim spend in 2017 which was $2.1 trillion and which continues to grow. Growth in the global Islamic economy is occurring in a diverse range of sectors such as Halal food, Islamic finance, Halal travel, modest fashion clothing, media and other areas. The London Muslim Shopping Festival is the premiere UK event for the Halal and Muslim business sector. The event attracts mainstream buyers from around the globe including prestigious brands such as Harrods, Harvey Nichols, Selfridges & Sainsbury’s to name but a few. The event will showcase both local and international talent and businesses. The world class showcase will be held at the Olympia in London as in previous years. It is estimated that more than twenty thousand people will attend over the two days the event runs for. Many of these visitors are expected to spend above average on purchasing goods and products. This is a prime opportunity for start-ups and budding entrepreneurs to leverage from. Exhibitors will also travel from international locations to display their products and goods. 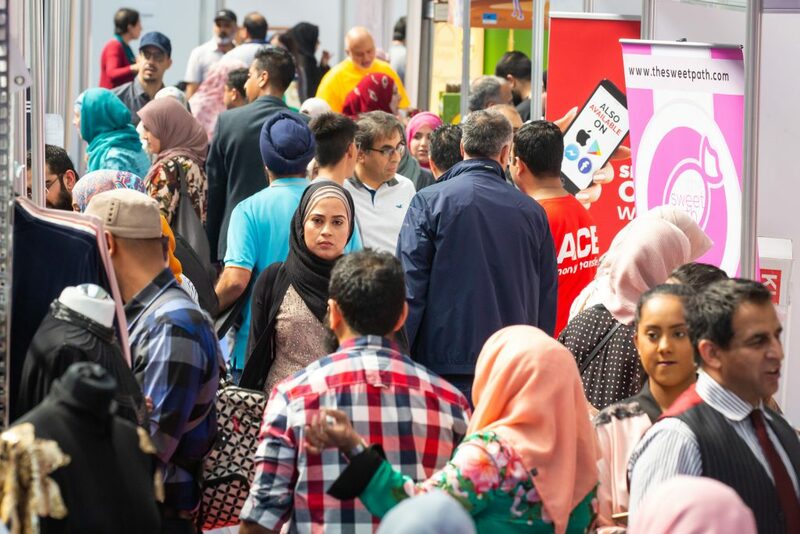 There will be over two hundred companies exhibiting at the London Muslim Shopping Festival in spring 2019. The event is dubbed as unique and exhilarating creating a space for fun, family and shopping within a Halal friendly environment. Crowned as the British Muslim Awards ‘event of the year’ 2018 winners, this festival again will present the best in the Islamic lifestyle scene. As previous years a modest fashion catwalk will also be taking place featuring high calibre brands and labels within the industry. There will also be a range of Halal food cuisine available and fun filled energetic kid’s zones. This amazing spectacle will be delivered by Algebra Consulting who provide support for brands and services. Algebra Consulting are also responsible for the London Eid Festival which had over 60k people in attendance and the Halal Food Festival which had over 20k visitors previously. 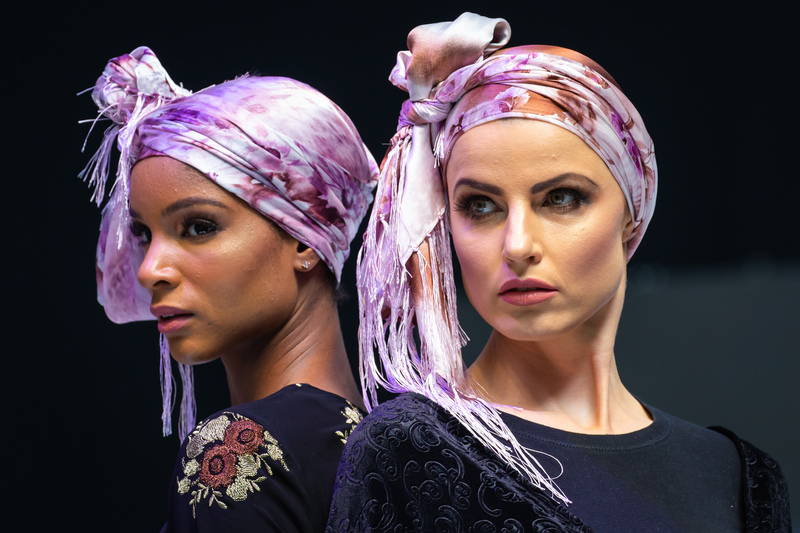 The London Muslim Shopping Festival 2019 takes place on 13th – 14th of April, 2019 at Olympia London, Hammersmith Rd, London W14 8UX.